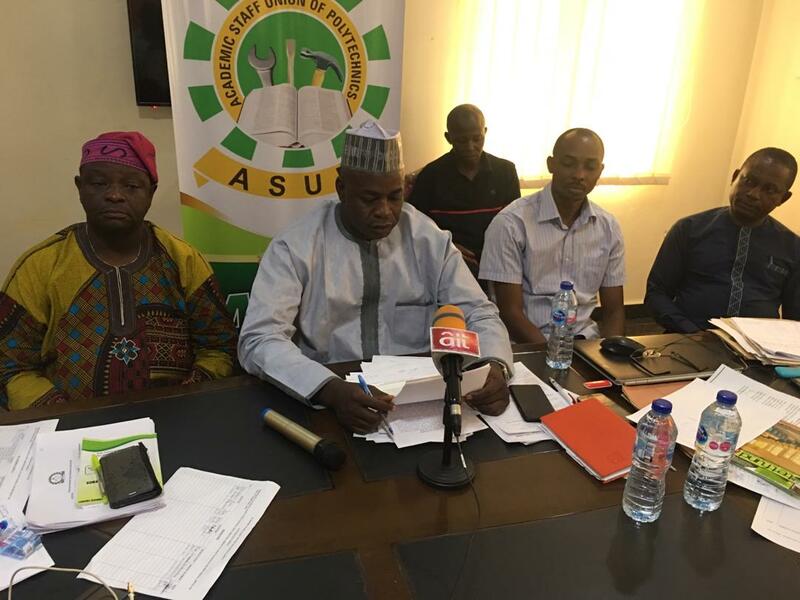 The Academic Staff Union of Polytechnics (ASUP) has suspended the 2-month-old strike it embarked over the failure of the Federal Government to implement agreements reached with the union in 2017. Addressing journalists at the end of its emergency NEC meeting on Tuesday in Abuja, ASUP national president, Usman Dutse, directed members of the union to commence academic activities on Wednesday. Details later.